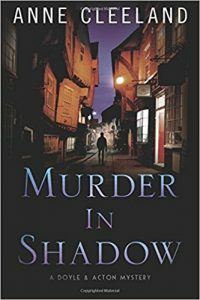 I don’t read murder mysteries or thrillers much any longer because I want to sleep at night – except for a couple of very special authors. Anne Cleeland is one of them with her Doyle and Acton Murder Series. 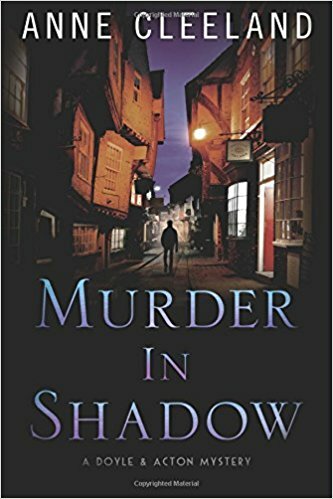 The latest installment is Murder in Shadow and Ms. Cleeland sent me a copy at no charge for my honest review. It seemed a little strange, that Detective Sergeant Kathleen Doyle wound up being the ranking officer on this particular homicide scene. It was true that DCI Acton was off somewhere, testifying, and DI Williams was chasing down witnesses on the latest Santeria murder, but Doyle couldn’t shake the feeling that she was being manipulated, by one or both of them. But to what end? The unidentified victim was a wealthy man, who shouldn’t have been mucking about in a Lambeth alley, in the first place. Who was he? And why were Acton and Williams staying well-away, with only Doyle left to sort it out? It was almost as though they didn’t want the case to be resolved too quickly. 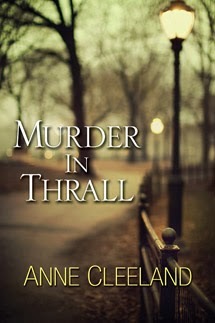 . .
Anne Cleeland writes a contemporary Scotland Yard series that features detectives Acton and Doyle, and she also writes a historical series of stand-alone books set in the Regency period. A member of International Thriller Writers, The Historical Novel Society, and Mystery Writers of America, she lives in California and has four children. www.annecleeland.com; @annecleeland. This latest outing with my favorite members of law enforcement picks up pretty much where the last book Murder in All Honour, left off. Doyle is quite pregnant and will soon have to take some time off to have the baby but she is concerned as she feels she needs to keep an eye on Acton for she fears there is something afoot. She is still communicating with the ghosts at her husband’s ancestral home – or is it? His cousin has put forth a claim to the baronetcy. But Acton tells her not to worry, per usual he has it all in hand. Doyle ends up on a case where a wealthy man has been coshed on the head. He is found in a sketchy part of town in an alley without his shoes. There was another case recently where a murder victim also did not have shoes – could they be connected? Acton seems to want to keep her away from what is going on but a familiar ghost in her dreams is pushing her to towards something she doesn’t quite understand. Will she find the answers in time? I do enjoy the quirkiness, not to mention the underlying darkness of these novels. They aren’t the simple “murder of the week” type of thriller. While each one could be read as a stand alone, they are far richer for having been read in sequence as each book builds upon the next. Ms. Cleeland does an excellent job of weaving in the necessary information to keep her reader in the know but knowing the full back story gives you a fuller appreciation for the tale. These are two of the most unique characters I have encountered in my reading and they are surrounded by a diverse and complicated mix of supporting players. As soon as I finish one book I can hardly wait for the next one.